Sukkot, a Hebrew word meaning “booths” or “huts,” refers to the Jewish festival of giving thanks for the fall harvest. It also commemorates the 40 years of Jewish wandering in the desert after the giving of the Torah atop Mt. Sinai. 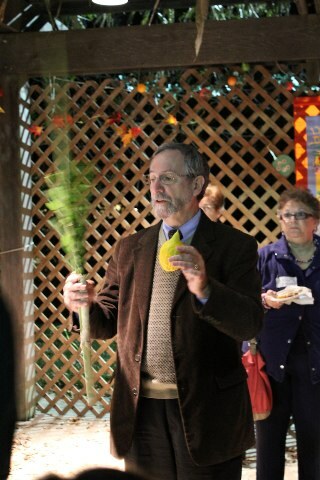 Sukkot is celebrated five days after Yom Kippur on the 15th of Tishrei, and is marked by several distinct traditions. One, which takes the commandment to dwell in booths literally, is to erect a sukkah, a small, temporary booth or hut. Sukkot (in this case, the plural of sukkah) are commonly used during the seven-day festival for eating, entertaining and even for sleeping. Sukkot, also called Z’man Simchateinu (Season of Our Rejoicing), is the only festival associated with an explicit commandment to rejoice. A final name for Sukkot is Chag HaAsif, (Festival of the Ingathering), representing a time to give thanks for the bounty of the earth during the fall harvest. The Festival of Booths is a week-long festival that falls 5 days after Yom Kippur. It is a joyous festival and a welcome change of religious pace following the solemn days of prayer and introspection. 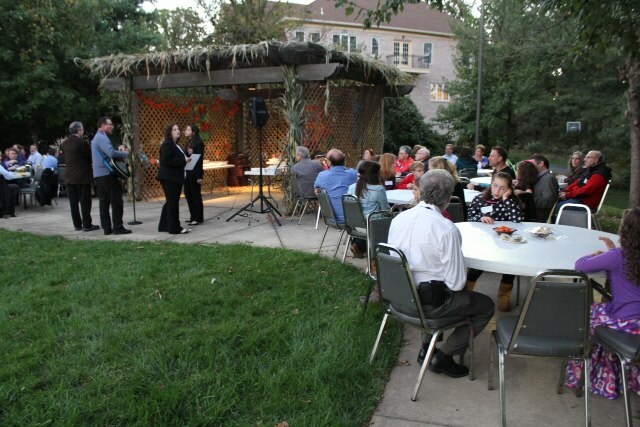 The mitzvot for Sukkot are building and eating in the sukkah.